Photographer and conservationist Paul Bannick has dedicated his life to exploring the wilds of North America and intimately documenting the lives of birds in remote habitats. His latest book is Owl: A Year in the Lives of North American Owls, in which the author's engrossing photos look at four very different species of the enigmatic bird of prey, and reveal their migratory travels and private family lives throughout the course of four seasons. 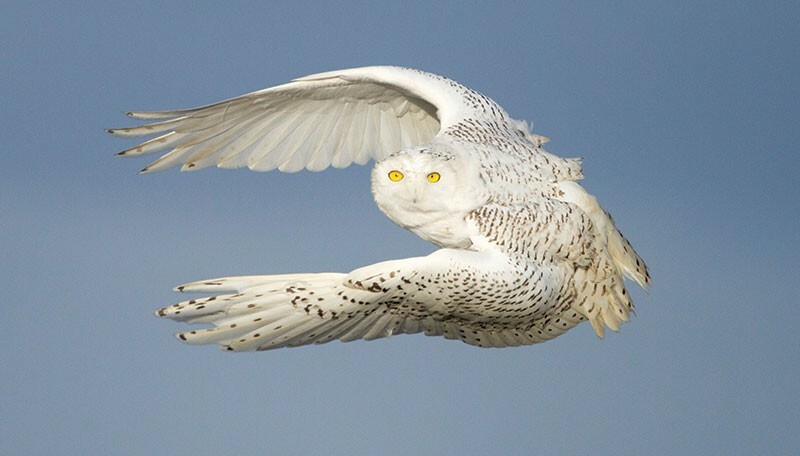 The follow-up to Bannick's bestselling 2008 book, The Owl and the Woodpecker, this new collection of over 200 gorgeous photos follows the Northern pygmy, burrowing, great gray and snowy owl species from hatchling to hunter, offering insight into the nocturnal creatures and arguing for continued efforts toward environmental sustainability to ensure they continue to flourish. Currently touring with the new book, Bannick appears three times in the North Bay this month, presenting Owl on Sunday, Nov. 20, at Marin Art & Garden Center (30 Sir Francis Drake Blvd., Ross. 6:30pm. $20. 415.455.5260) and Monday, Nov. 21, at Copperfield's Books (775 Village Court, Santa Rosa. 4pm. Free. 707.578.8938) and, as part of the Madrone Audubon Society's monthly meeting, at the First United Methodist Church (1551 Montgomery Drive, Santa Rosa. 7pm. Free. madroneaudubon.org).